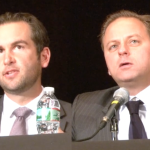 Jersey City Mayor Steven Fulop and challenger Bill Matsikoudis shared a stage in front of over 1,000 people last night to talk about their policies and accomplishments related to several topics including public safety and affordable housing. 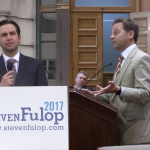 In front of a crowd of over 1,000 people, the candidates both answered two simple yes or no questions, with Fulop and Matsikoudis agreeing to work with Jersey City Together and help move their priorities forward if elected. Moving onto more detailed questions, Matsikoudis began by explaining his priorities for public safety and affordable housing. “Since 2010, er 2012, every single year we’ve seen substantially higher homicide rates. Indeed, 2016 marked a 100 percent increase: that’s right the homicide rate increased, doubled in 2016 as compared to 2012. Simultaneously, relations between the police and the community have really gone down,” Matsikoudis said. 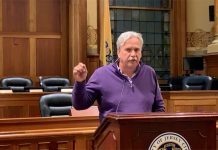 The city’s former corporation counsel under Mayor Jerramiah Healy added that the local police need to have a “guardian mindset” as opposed to a “warrior mindset” before discussing affordable housing. “The cornerstone of my campaign really is about affordable housing and I’m glad that we’re stressing that here tonight. In the last several years, Jersey City’s become one of the most expensive places to live in America,” adding he would remedy that by creating an office of affordable housing. 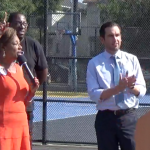 In response, Fulop brought up a campaign promise from 2013, reiterating that he feels he can accomplish the goals he set in two terms, as opposed to four or five. He then explained some of the progress he was proud of since taking office. “When we took office, the police department was at 769 officers – the lowest it has been in decades. The diversity in the police department was ranked the single worst in the United States of America,” began Fulop, who also noted the CCTV’s and 911 system didn’t work. 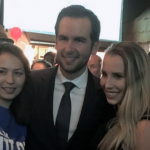 Fulop further stated that crime in Jersey City is down according to statistics released by the FBI last week. As far as affordable housing is concerned, the mayor said his administration has built more affordable housing in four years than the previous administration did in 10. 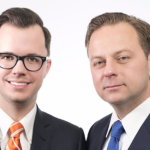 On the topic of rent control, Fulop and Matsikoudis were asked if they were willing to prioritize enforcing housing and rent control codes the same way criminal, parking and ticket codes are enforced. The mayor committed to enforcing the laws, as well as to finding non-profits that could advocate for renters. “We intend on doing more of that and continuing down the road of enforcing our laws, number 1, and number 2 is finding non-profits that can advocate for renters so that they know the laws and be stricter on enforcement, as we touched on here, as it related to landlords,” Fulop stated. 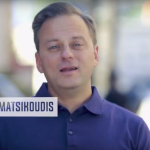 Matsikoudis answered the question by again talking about the expected benefits of his plan to create an office of affordable housing. “First, that affordable rent, that the four percent – it’s actually less than that, it’s supposed to be consumer price index – is followed … If we have an office of affordable housing, we’ll have the staff, the resources, working in conjunction with city lawyers and municipal prosecutors to find these landlords – that’s the only thing that’s gonna make them comply,” Matsikoudis exclaimed. The forum was limited to those topics and the two mayoral candidates were on stage for about 20 minutes during the 90 minute or so program. When you are one of the millions of people who hire as an alternative to individual a residence, investing in renter’s insurance is a brilliant way to ensure that your personal assets are protected in the case of fireplace, robbery or any other hazards, or even guard on your own from damage or home injury statements. Most renter’s insurance policy includes the money price of your possessions, consuming depreciation into account, so make sure you improve to replacement cost if you want to have the capacity to repurchase your things without having out-of-pocket bills. Your insurance policy should also add a individual liability clause to safeguard from legal actions if a person is injured at your residence or perhaps the property is damaged from your negligence. Talk with an insurance broker to learn each of the details of a policy before making an alternative. I’d recommend getting a juicer by using a brand name around one which you don’t acknowledge the label of. Brand name juicers will probably last longer, and definately will ordinarily have a warranty or promise to rear their boasts up. More compact organizations could be fly-by-night time, and you also tend to get the things you pay money for. Getting into a fit condition can be a goal we ought to all attempt to accomplish. Our fitness recommendations gives you the newest and best info, make you stay inside the know and up to rate on what you must be doing. 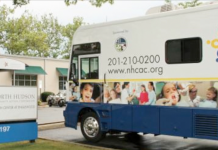 Our recommendations can help you reach the health and fitness target you might have always wanted to accomplish.